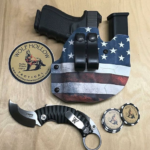 Wolf Hollow Tactical is a manufacturer of custom Kydex holsters, magazine carriers, survival gear, and more. 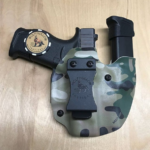 A post shared by Holster Vault (@holstervault) on Aug 26, 2018 at 8:11am PDT From Wolf Hollow Tactical, a look at their Glock 43 Wolf Pack AIWB Kydex Holster with Mag Carrier. This holster features MultiCam infused Kydex printed by Index Fasteners. 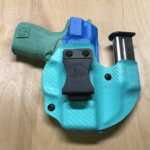 From Wolf Hollow Tactical, a look at their Wolf Pack AIWB Holster for a Glock 19 with Inforce APLC. 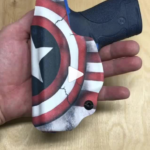 This holster features Dual Pull the Dot Loops and American Flag infused Kydex. 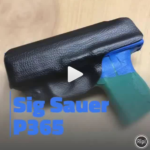 A post shared by Holster Vault (@holstervault) on Feb 21, 2018 at 8:29am PST Our friends at Wolf Hollow Tactical are now offering Sig Sauer P365 holsters in all their holster styles, including both Kydex and Hybrid holsters.